Everyone in South Africa is looking for the episode of Shark Tank which featured the Green Gold Trading system. 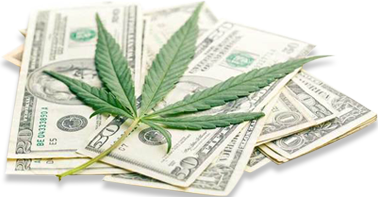 Are you also interested in using GreenGold to trade shares of Cannabis companies? Well the answer is a bit complicated, because Green Gold was not actually featured on Shark Tank. The article you read, was simple Fake News! Green Gold Trading is actually just a pitch for you to learn how to trade CFD’s on Shares. Just like Bitcoin Loophole, this is actually a hoax! First thing you should do, is make sure you are looking at the original software at: https://thegreengold.net/. Do you understand how to make money by investing with CFD’s? The problem is, most people have no idea how Contracts for Difference work. When reading about a trading system like Green Gold Trading, they think that they turn $250 into $100,000, just like the video says they will. The reason why a software like GreenGold is a scam, has to do with the offshore Forex CFD brokers they promote. Investing online is not for everyone, and most people lose money. The real numbers in Europe show that 80% of people lose money investing with CFDs, even those investing at an award winning FCA regulated broker like ForTrade.com. Just think how many people make money at offshore brokers. The answer is ZERO. No one makes money when they send their money to Estonia or the Marshall Islands. South Africans are avid investors in Forex, Crypto and now shares of Cannabis companies. The best brokers to use for investing online, are all licensed and regulated in South Africa or Australia. Take a look at 24Option or CMTrading. They are very good companies with a good reputation with their clients. Go visit the best trading robots page, and see software that allows you to choose a licensed broker.